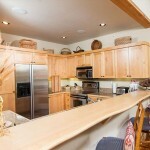 Moose Creek 26 is a great condo for your Jackson Hole vacation. 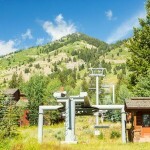 Enjoy having a chairlift to Jackson Hole Mountain Resort right outside your front door. 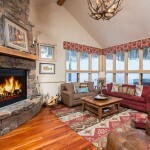 With the ski-in/ski-out convenience, you can quickly return "home" at the end of your ski day and enjoy the private hot tub on the back patio. 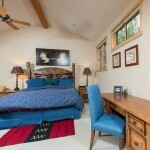 The unit also provides 3 bedrooms, and 3.5 bathrooms, with and 2800 square feet on three levels. 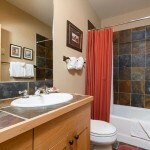 High-speed (3.0Mbps) wireless internet, Cable Television, DVD player, Fully-equipped kitchen, Linens, Telephone, Microwave, Balcony and Deck, Fireplace and firewood, Washer/Dryer. 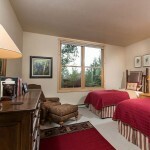 Close to the Jackson Hole Community Bike Path, Located twelve miles from the Town of Jackson and one mile from Grand Teton National Park. 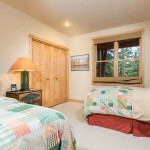 GARAGE ACCESS IS LIMITED; PLEASE CALL TO CONFIRM DETAILS A FREE SHUTTLE FOR TETON VILLAGE GUESTS Alltrans shuttle runs from the the base of the Tram along Rachel Way to the end of Michael Drive and back Shuttle runs DAILY between 7:30am – 11:00pm 7:30am – 10:00am	every 15 minutes 10:00am – 3:00pm	every 30 minutes 3:00pm – 6:00pm	every 15 minutes 6:00pm – 11:00pm	every 30 minutes Cancellation policy: All cancellations will forfeit the 5% resort/processing fee. We require half of the rent, half of the taxes and the full processing fee at the time of booking (non-refundable unless property is re-rented). 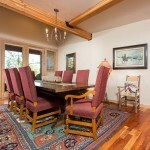 The remaining balance is due 45 days prior to arrival (non-refundable unless the property is re-rented).